Urethane gauge pods designed to fit the NA6 (non airbag) Miata dashboard. Originally from Project M, re-produced by permission. Fits left or right hand drive cars. Mounting hardware and fitting template included. Fits all 52mm aftermarket gauges. Hit my store for price and ordering info! I've got prices for single, double, and triple gauge cups. 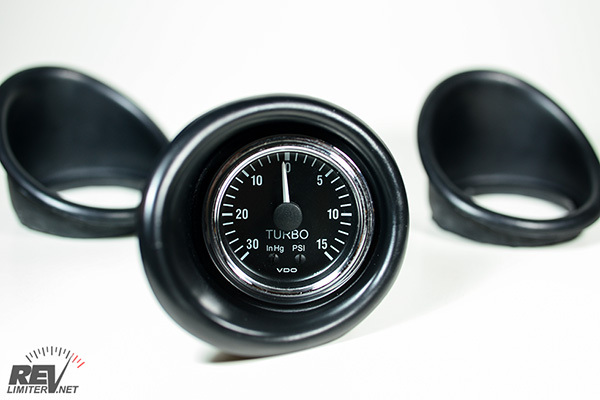 Gauge Cups are hand cast in black urethane. All mounting hardware is included. Fits all 52mm aftermarket gauges. The mounting clip is as close to universal as I was able to design. Non-painted cups are shown above. 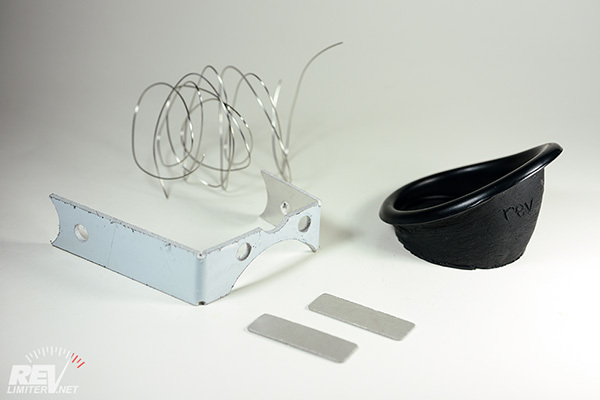 They can be easily painted to match the factory plastic or left bare (not recommended). They're angled perfectly toward the driver. 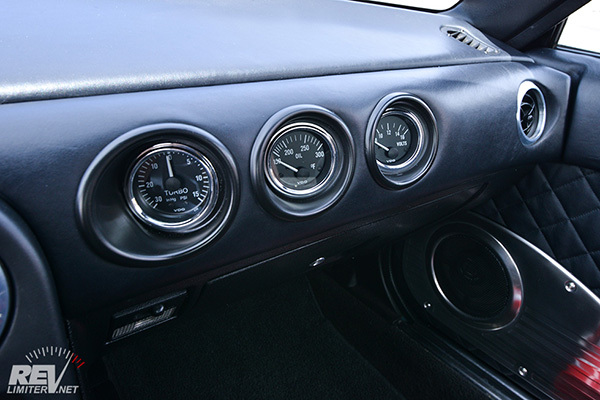 Though they're set over to the passenger side, the gauges require much less eye movement than ones mounted by the radio. They're also symmetrical, so they'll work on left hand drive or right hand drive. Mine are based on the fiberglass cups produced by Russell of Project M. I increased the wall thickness and opened up the big hole to fit every 52mm gauge I could find (52mm means different things to different companies). I also modified them slightly to be as symmetrical as possible and work on RHD and LHD equally. I've had my set of three installed in Sharka for the past 2 months. That time has included a lot of baking in the paint booth and out in the hot New Mexico sun. No damage. I'm excited to have these in my store!!! I hope folks like them.